The world today needs more energy than it ever required. The growing population along with the growing industries requires more and more sources of energy. They have become inevitable in our daily life. However we also need to take care of the fact that this consumption should not affect much of the ecological balance of the planet. There are reports and surveys which highlights on the effects of consumption of fossil fuels. It seems to have affected the sense of the common man and they are into the process of using non-conventional sources of energy. Water bodies cover more than 70% of the earth’s surface. This is the reason why it appears blue from the space. Also the planet is called the blue planet because of the presence of seven major oceans. The oceans have proved to be a promising source of energy. It is a renewable source of energy. However, it is still not popular as compared to the other non-conventional sources of energy like solar energy. We have scientists working on the development of the ocean energy and its application. Considering the amount of ocean energy produced in today’s world it is almost negligible compared in global scales. There are different types or sectors of producing ocean energy. Tidal energy, wave energy are two different concepts. There are studied going on these concepts. Another new concept is named as ocean thermal energy conversion (OTEC). This aims in producing energy from the temperature differences created in water. Let us discuss about all three forms of ocean energy one by one. Regular disturbances on the surface of the water are called waves. Waves also occur in air, but here we are more concerned about the waves produced in the sea and oceans. The wave energy is a form of kinetic energy. This is used to power a turbine. Wave energy is captured from the directly from the surface of the waves produced in the oceans. A turbine is chosen for a hydroelectric power station and is decided primarily by the water conditions. However, the main issue with the ocean wave energy is that it needs a costly set up. Also, water conditions are not the same in every part of the world. Even on the coastal areas the waves are not the same always. Along with the waves, we also need to have high force of air to regulate the turbines. Wave energy has not been exploited in every part of the world. There are geologists and other scientists who are working on the improvement and commercialization of the wave energy. 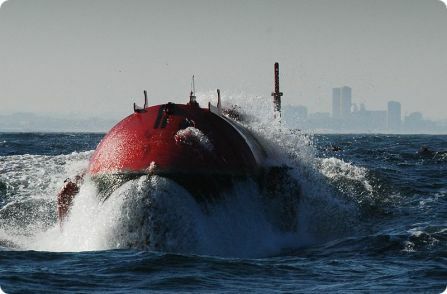 Some parts of the world like Scotland, Norway, northern Canada, southern Africa have developed machineries to produce more and more wave energy. In fact, in those countries, wave energy has proved to be one of the most widely used energy. There are many technologies to capture and install wave energy. But they lack proper commercialization. It is hardly known to the people of the world. Wave energy has very high potential. It needs to be exploited properly. It could be a guaranteed source of energy once the non-renewable energies get depleted. Another problem faced by the wave energy production departments is that the waves change their direction time and again. This happens because of the change in flow of air. 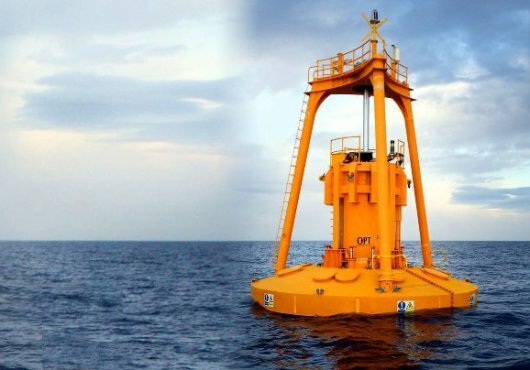 Some of the commonly used technologies in producing wave energy are terminator devices, attenuators, point absorbers and overtopping devices. All these machines are very costly and as mentioned earlier, need the supervision of extremely experienced scientists from the field of oceanography. Some countries, especially the developing countries have the notion that these non-conventional energies will not be enough profitable ventures and lack proper sponsors. Tidal energy is formed from the movement of water currents and is known for a longer time than wave energy. It is another form of hydropower and uses rise and fall of tides to generate electricity. Tidal energy uses tidal energy generators beneath the sea which experience high tidal movements. The tidal energy generators capture the kinetic motion of ebb and flow of ocean tides to produce electricity. Since tides are much predictable than waves, it is a better option than wave energy. The other reason is that due to massive size of the oceans, its potential of producing energy can’t be ignored. 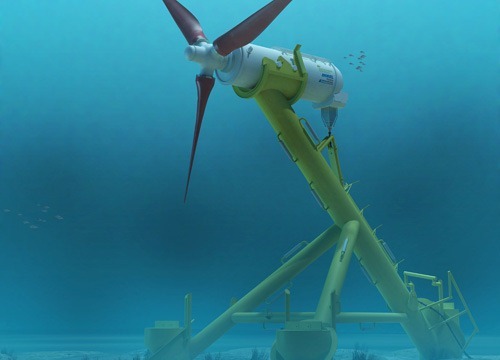 The tidal energy is not that popular but is taking the world by storm. Learn more about the tidal energy here. The biggest tidal power station in world i.e. La Rance Station is located in France. It produces about 240 MW of power annually and has capacity to power 240,000 homes. To harness this kind of energy, you will need to have increase of at-least 16 feet between high and low tide. This is one the primarily reason that you won’t find many tidal power station plants operating on earth. The other reason is that tides don’t occur throughout the day. These power stations can only be used to a maximum of 10 hours a day which limits their electricity producing capacity. The main benefit of tidal energy is that it is renewable which means that it not going to vanish ever. The rise and fall of tides does not produces any greenhouse gas emissions and they also do not require any fuel to work. They are much more predictable than wave energy. The initial cost might be a bit expensive but it does not require much investment to maintain it. To make it work, you need large increase in tides. There are few places on earth that experience huge tides which makes it overall applicability a bit difficult. Another issue with this energy source is that building of huge dams and turbines may pose some effect on aquatic life. 1. Closed-Cycle : Closed-cycle systems use warm water on oceans surface to vaporize a fluid which has low boiling point called as Amonia to turn a turbine which activates a generator to generate electricity. The warm water is pumped through heat exchanger to vaporize a working fluid at low-boiling point. The expanding vapor is then used to turn the turbines. The moving turbines then generate electricity through generators. 2. Open-Cycle : Open-cycle systems uses ocean’s warm surface water by placing it in a low pressure container. This boils the water and it starts producing steam. The steam is then passed through turbines which in turn are attached to a electrical generator. The steam is then converted back to liquid state by exposing to cold temperatures from deep ocean water. 3. Hybrid Sytems : Hybrid systems uses positive features of both closed cycle and open cycle systems. The warm water on sea surface pumped through a heat exchanger into a vacuum chamber. The water is evaporated into steam. The steam vaporizes a low-boiling point fluid that turns turbine and turbine generates electricity. Next articleWhat is Tidal Energy and How is Tidal Energy Converted into Electricity?